After many years of animated, comic book and video game appearances, Harley Quinn is finally making her theatrical debut this August in Suicide Squad. It was expected that she would survive the events of that movie and return, but today brought the news that Warner Bros is developing a Harley Quinn-centered spinoff movie, which will see Margot Robbie reprising the clownish psychopath on screen and producing off camera. However, Harley won’t be the only star of this movie, as other female DC heroes and villains will be major players. 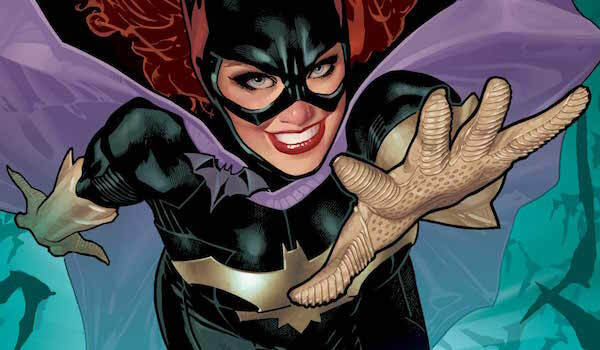 Aside from Batgirl and the Birds of Prey being mentioned as possibilities, the original report didn’t offer any clues about the rest of this project’s cast. Fortunately, there are plenty of popular female characters DC Comics has featured over the decades, and we’ve gathered the seven best heroines and villains who would fit this particular DCEU entry perfectly. Batgirl was mentioned as a possible player in this movie, and of all the heroines in the DC universe, she’s the one who would fit best in the story. She’s tangled with Harley plenty of times in the comics and other media, both by Batman’s side and on her own, so she’s the most deserving to clash with Harley on the big screen. It’s been said that Jena Malone is playing Barbara Gordon in the DCEU, and while her scenes were cut out of Batman v Superman: Dawn of Justice’s theatrical release they’ll be back in for the Ultimate Edition. However, it hasn’t been confirmed whether Barbara is still Batgirl in this universe, and many believe that she’s wheelchair-bound and serving as Oracle instead. That would leave two options for this Harley Quinn movie. One, the DCEU pulls a New 52 and has Barbara recover from her injuries and resume being Batgirl, or two, we’ll see someone else in the guise, like Cassandra Cain. Ever since the Batman: The Animated Series episode "Harley & Ivy," Harley Quinn and Poison Ivy have been best friends and partners-in-crime. Sometimes they’ll commit heists together, other times they’ll just hang out without a care in the world. Just like how Batgirl is the most deserving heroine to battle Harley, Poison Ivy is the most deserving villainess to work alongside her. 1997’s Batman & Robin was the last time the seductive plant manipulator was seen on the big screen, and let’s just delicately say that Uma Thurman’s performance wasn’t well received. Poison Ivy could definitely use some theatrical redemption, and appearing in this Harley Quinn spinoff could do the trick. 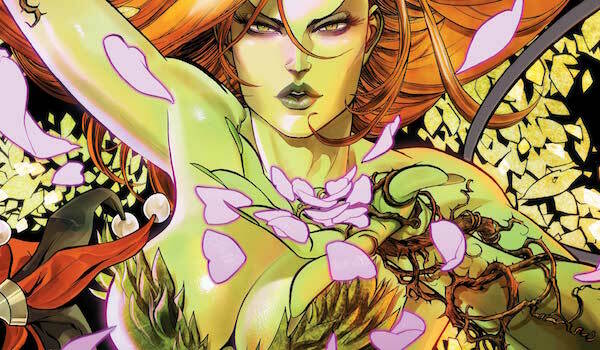 Remember, Ben Affleck’s Batman has been fighting crime for two decades, so Poison Ivy is likely one of the villains he’s defeated over the years. Whether she meets Harley for the first time in this movie or they already have a relationship established, these two need to be paired in live action as soon as possible. 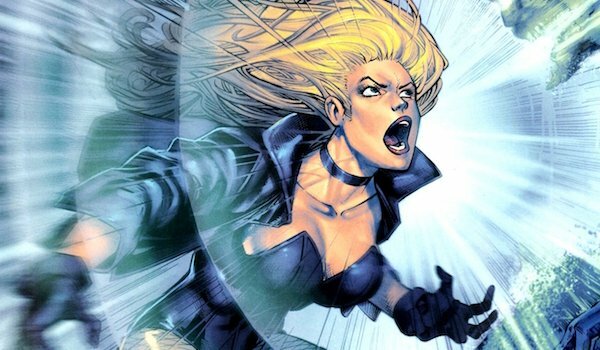 Black Canary is one of Batgirl’s Birds of Prey teammates in the comics, and while the character has been seen in live action on Smallville and Arrow, she hasn’t gotten her due in the movies yet. Last year, it was rumored that she might show up in Justice League: Part One, and if her appearance was well received, she would star in a Birds of Prey movie. Whether this Harley Quinn project is that same movie or something different, Black Canary is one of DC’s top superheroines, so she deserves to be spotlighted in the DCEU. Even if she isn’t featured in Justice League: Part One, she can still be one of the crimefighters who’s managed to keep a low profile, but with the Justice League’s public debut, she can start teaming up with other heroes, whether it’s Batgirl or Green Arrow. Oh, and unlike what Arrow did, make sure her sonic scream is a special ability, not a technological feat. 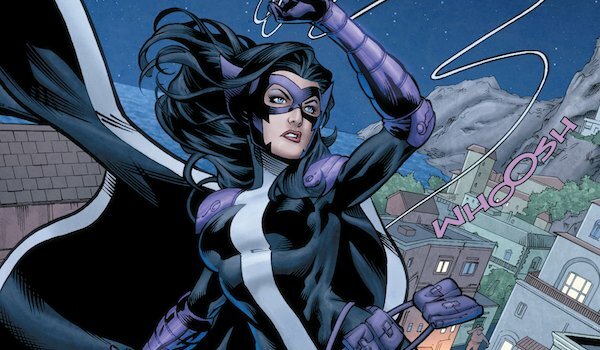 There are two main versions of Huntress in the comics, so for the sake of this list, we’re going with Helena Bertinelli rather than Helena Wayne. The daughter of a powerful Mafia boss, her family was killed by a rival criminal organization, leading her to become a costumed vigilante as an adult and seek revenge. Although she’s looped in as a member of the Bat-Family, Huntress isn’t solely focused on fighting crime in Gotham City, so she can easily be established in another city in the DCEU. Helena was also the third hero to be added to the Birds of Prey, joining Oracle and Black Canary, so if the team forms on the big screen, she needs to be one of the founding members. Barbara and Helena had an adversarial relationship when they first met due to the former being controlling and the latter being reckless, so that might be a dynamic worth exploring. 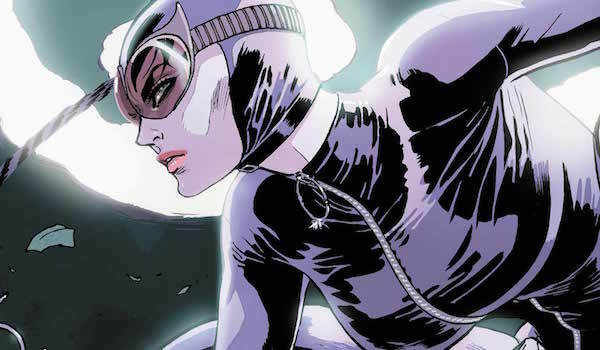 Catwoman is one of Batman’s oldest enemies/love interests, but the feline-themed thief has had plenty of adventures without the Caped Crusader’s interference. Aside from Poison Ivy, Catwoman is the villainess who makes the most sense to pair with Harley Quinn, even though they don't get along nearly as well. Catwoman, along with Harley and Poison Ivy, led the Gotham City Sirens series, where the trio helped each other out of many a jam. Maybe their cinematic counterparts could form a similar alliance. We’ve seen three cinematic versions of Catwoman so far, and in each of those she’s been feuding, flirting or working with Batman. Let’s bring her into the DCEU those two pairing together and instead focus on how Catwoman handles Harley and the other villains while also giving the heroes a hard time. 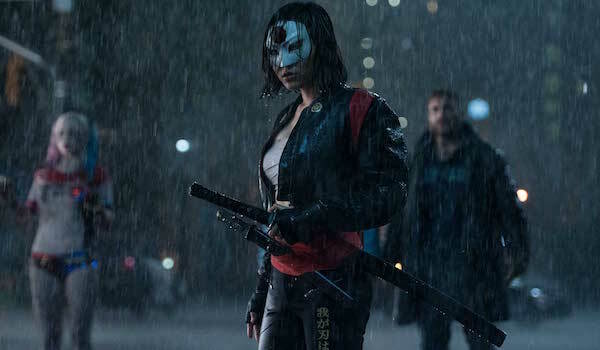 Katana will be part of the DCEU’s Suicide Squad this summer, but unlike the team’s other members, she’s not a criminal. She has Rick Flagg’s full trust, and it’s her job to not only keep him safe, but also make sure these villains don’t get out of hand during the mission. So even though she’ll be working with Harley Quinn, it’s a good bet they won’t get along. We don’t know yet how Suicide Squad ends, but I’m betting that Katana will make it out alive. If that happens, then have her go hunting for Harley Quinn, whether it’s on the government’s orders or a personal quest. Plus, Katana was a member of the New 52’s first iteration of the Birds of Prey, so that’s enough precedent to bring her aboard if we do end up seeing the team. 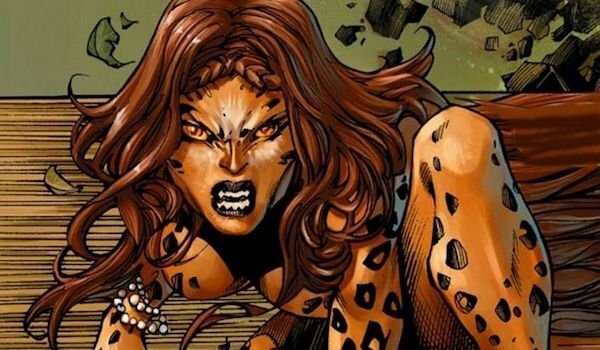 Cheetah is arguably Wonder Woman’s most recognizable villain, but the Amazon’s solo movie isn’t expected to include her. While there might be room for her in a potential Wonder Woman 2, this Harley Quinn spinoff might be an interesting, albeit unusual, vehicle for her to be introduced. Aside from Katana, Cheetah is the only one who has connections to magic, so she could be among one of the most powerful characters in this movie. That said, she’s also the villain who is least likely to work with other criminals, and she doesn’t have any significant history with the previously mentioned characters. It would be a fun twist if Harley and her gang were forced to team up with the heroines to stop Cheetah’s plans. Harley, Poison Ivy and Catwoman are bad guys, but Cheetah would be the true antagonist.